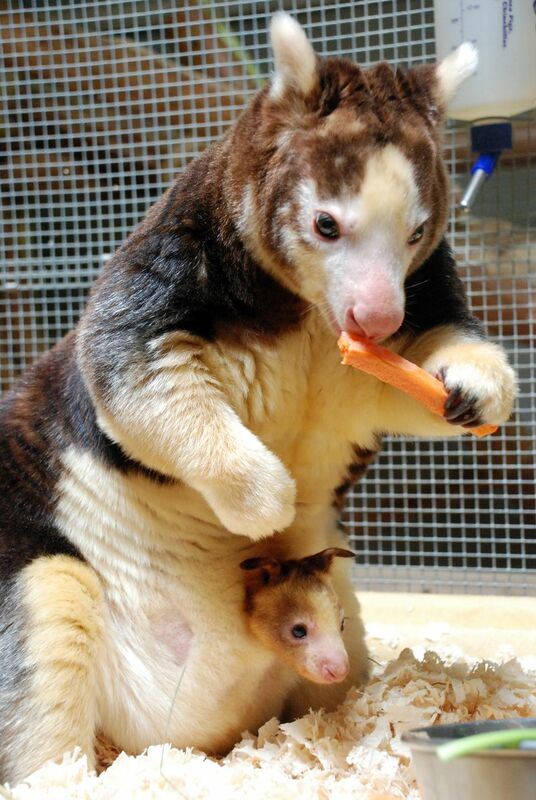 Roger Williams Park in Rhode Island welcomed a new Huon Tree Kangaroo (Dendrolagus matschiei) in October last year, This week the joey made is official first appearance outside his mother’s pouch. The endangered species is native to New Guinea and, as the species name indicates, lives a primarily arboreal existence. 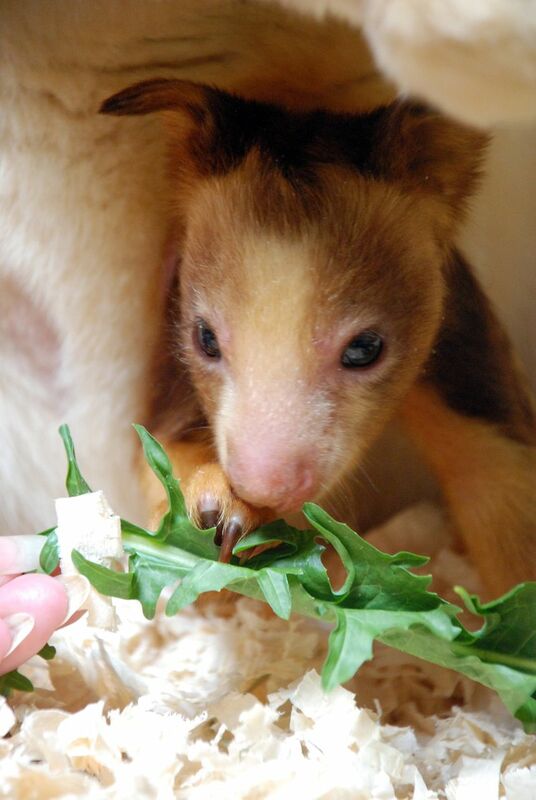 Named Holly, the joey is the first Huon Tree Kangaroo born at the zoo in 20 years and is part of a Species Survival program in zoos around the word. Wild Huon Tree Kangaroos number in the 2,500 according to ZooBorns with their numbers decreasing do deforestation and over hunting.